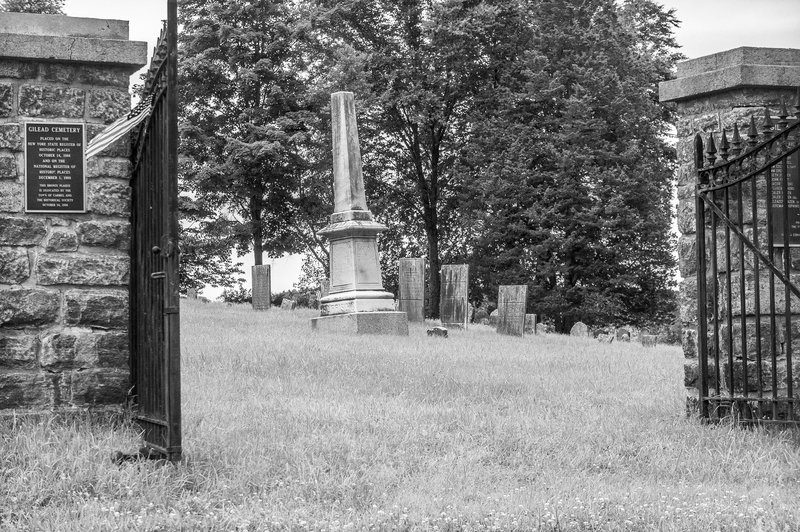 A plaque on one of the entrance pillars reads: “Gilead Cemetery. Placed on the New York State Register of Historic Places October 14, 1988 and on the National Register of Historic Places December 1, 1988. This bronze plaque is dedicated by the town of Carmel and the Historical Society, October 14, 1998”. Ken Warnecke of Mahopac researched and wrote the original 1988 proposal for listing the Gilead Cemetery on the State and National Registers. 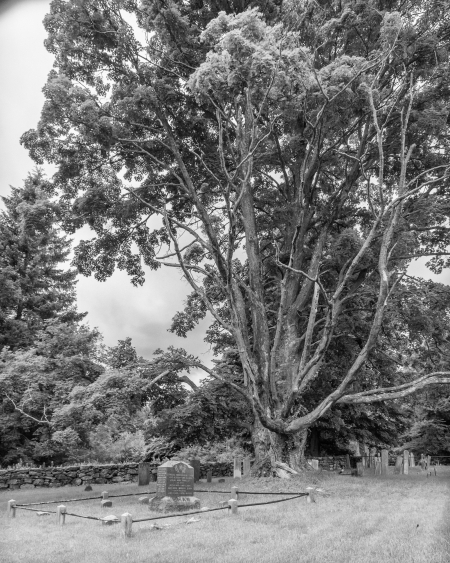 It contains a lot of information about the cemetery as well as an old photograph of the cemetery – interestingly the huge trees, which are so striking (see below) are absent from this photograph. The large trees are quite striking. This one is apparently a 75 foot sugar maple. 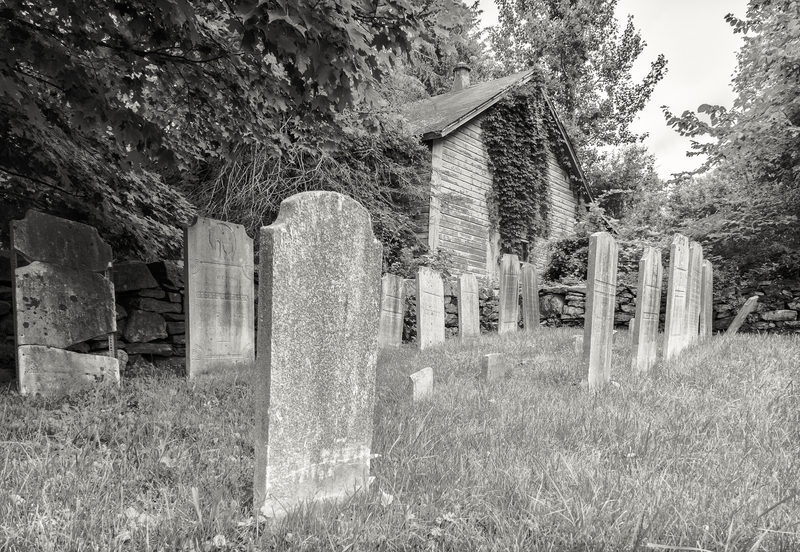 Gravestones with ivy covered building. North-west corner. John Belden. Died 1882. Doesn’t appear to be anyone of significance but then he was only “22 years and six months” old when he died. 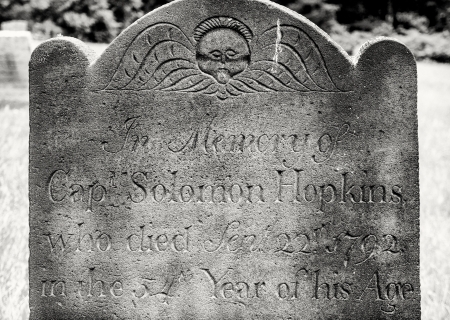 Interesting design on the gravestone. 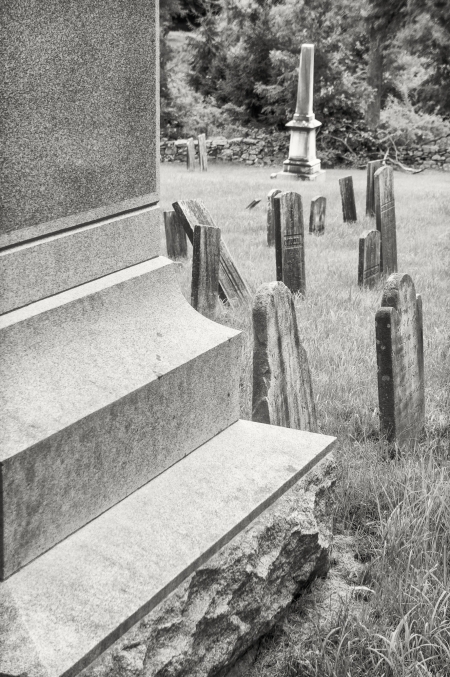 via Enoch Crosby (1750 – 1835) – Find A Grave Memorial. Solomon Hopkins. Born: May 31, 1739 Barnstable, Mass. 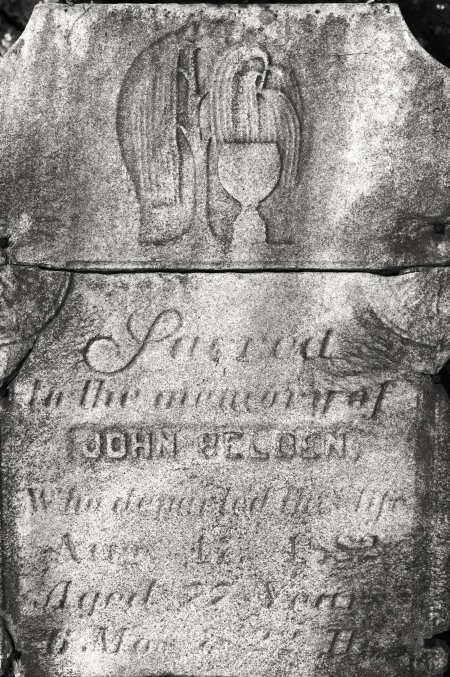 Died: Sep. 22, 1792, New York, USA. He served in the Revolutionary war. His wife, Elizabeth Crosby Hopkins, was Enoch Crosby’s (see above) sister. She is also buried in the cemetery along with their son Jeremiah Hopkins (1762 – 1829). Interestingly while the gravestone refers to “Captain” Hopkins the plaque at the bottom laid by the West Point chapter of the Daughters of the American Revolution refers to “Lieutenant”.